Choosing a housekeeper can sometimes be stressful—how do you know if you can trust a stranger to take care of your house? There can be lots of missed red flags when you don’t know the right questions to ask. On top of that, body language can send very important signals for you to tell whether the potential housekeeper is the right one for your needs. Make sure that you tell them what you really need in a housekeeper. This is also to avoid getting into arguments with your housekeeper and hearing them say, “But it was not in the job description.” We recommend you think through what you need them to do in your house. You can be specific and say you need someone to clean the toilet, kitchen sink, garage, etc. In short—you have to inform the potential housekeeper so they know what they’re getting themselves into. And then you can ask if they can handle it in the number of hours that they will be working and in the budget range that you have in mind. Ask them how they would do things. One sample question you can throw at them is to give them a specific situation that they would have to solve themselves. That way, you’ll have an idea of how quickly and imaginatively they think and how far they can improvise. Try to find out if they’ve done similar jobs in the past. In a housekeeping job, experience may not be as big of a factor. However, you can throw questions related to housekeeping to know if they can actually do the job. Ask them if they have cleaned bigger houses before or what kind of tasks they have done in their previous housekeeping jobs. If the applicant has no experience, ask why you should hire them or what sets them apart from other applicants. You need to get a sense of motivation to make sure they won’t laze around in your house all day. Their schedule has to fit your schedule. 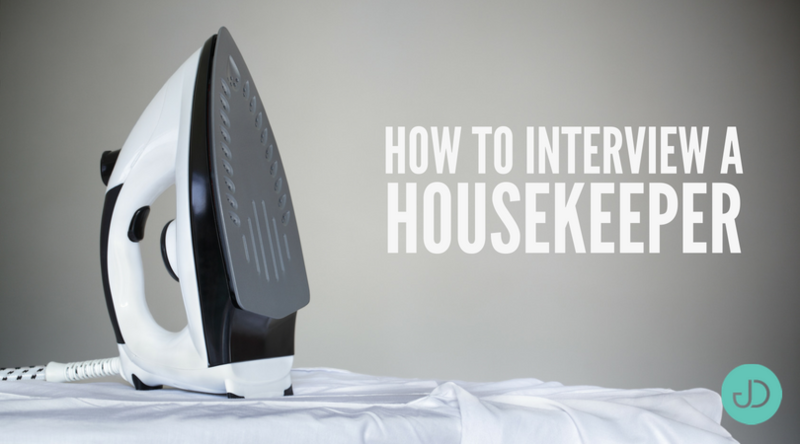 This is highly important when deciding on a housekeeper. Is he/she flexible enough, or do you have a fixed schedule that you want her to follow? And when you do need her in case of emergency, how long will it take her to get to your place? Hiring someone who is close by might be a better choice. What other things should you consider before hiring a housekeeper? Do some background checks and ask for references. It may sound very strict, but we all know it’s not easy to tell whether someone is lying or not. When you’ve confirmed with a previous employer that the potential housekeeper has done a good job before, then you’ll be more comfortable and relaxed working with them. Check what cleaning supplies they use. If you have kids or important furniture in your house, make sure that your next housekeeper isn’t using harmful products. If you have your own supplies, ask them if they know how to use or apply them on certain kinds of material.